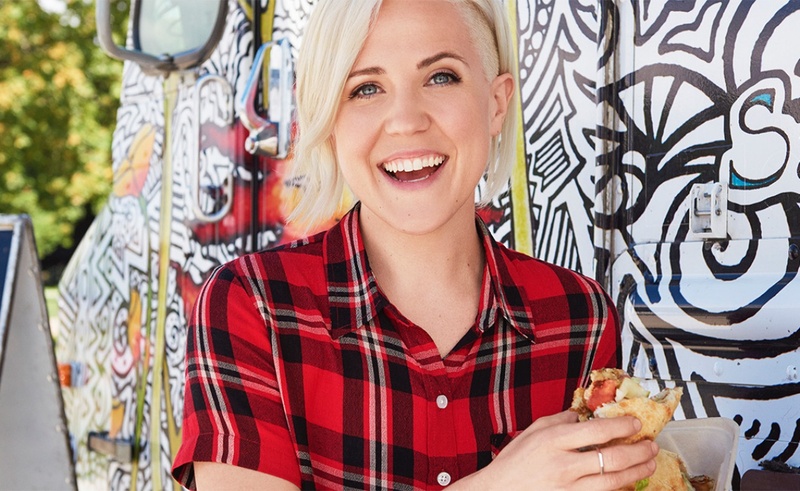 Hannah Hart, food puns and all, has arrived on TV. The 30-year-old creator, whose boozy web series My Drunk Kitchen has made her a YouTube star, is the host of the new Food Network show I Hart Food. In her new show, which was announced last year, Hart will travel around the country and same local cuisine wherever she goes. Luckily, one of the most important parts of My Drunk Kitchen‘s appeal — Hart’s tendency to drop food puns as often as possible — has successfully made the transition to TV. Hart has managed to parlay her digital fame into a number of prominent projects and position. She has authored multiple books, has built a film career that includes a first-look deal with Lionsgate, and recently earned a spot on GLAAD’s Nation Board of Directors. Meanwhile, she continues to post regular videos to her YouTube channel, which has more than 2.5 million subscribers. I Hart Food‘s first season will consist of six episodes. New ones will air on Mondays at 10 PM EST.